Many Tybee Island historic homeowners love their home and could never dream of leaving their neighborhood. When your growing family needs more space or you are simply looking for an additional bedroom, bathroom, or office space, we can build onto your historic Tybee Island home. 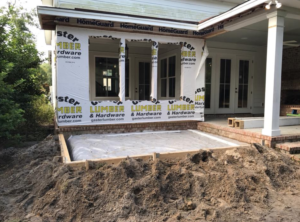 A home addition can help you create the extra space that you need whether that is in the form of expanding your family room, finishing your basement, or creating an entirely new room or wing onto your property. Discuss your needs with us today and let us help you create the functional space that you need at your Tybee Island home.